Read all about it! Ovarian Psycos featured in LA OPINIÓN! – O.V.A.S. Read all about it! Ovarian Psycos featured in LA OPINIÓN! Extra Extra!!! Read all about it! This past weekend Las Ovarian Psycos were featured in LA OPINIÓN! Short and sweet article but touches on good stuff: Sisterhood, reverse racism, yesterday’s CicLAvia, our past Black & Brown Unity Ride with East Side Riders & Black Kids on Bikes, our upcoming August 2nd Annual Clitoral Mass and more! Click on this link to read the article!!! This Sunday, as every year, thousands of Angelenos will leave their cars parked and mounted their bikes to participate in CicLAvia and take advantage of 15 miles of traffic-free streets that connect the historic El Pueblo de Los Angeles to Venice Beach. Since its inception in 2010, the event has attracted cyclists over 100,000 Angelenos participating either in groups, with their families or alone. The Ovarian Psycos, a group of women of color in East Los Angeles, is one of many groups that will participate in the event. 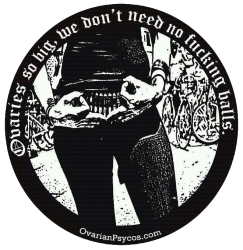 “Ovarian Psycos born three years ago in Boyle Heights, in response to the lack of representation of women of color within the cycling community of Los Angeles,” said Maryann Aguirre, member and spokesperson for the group. 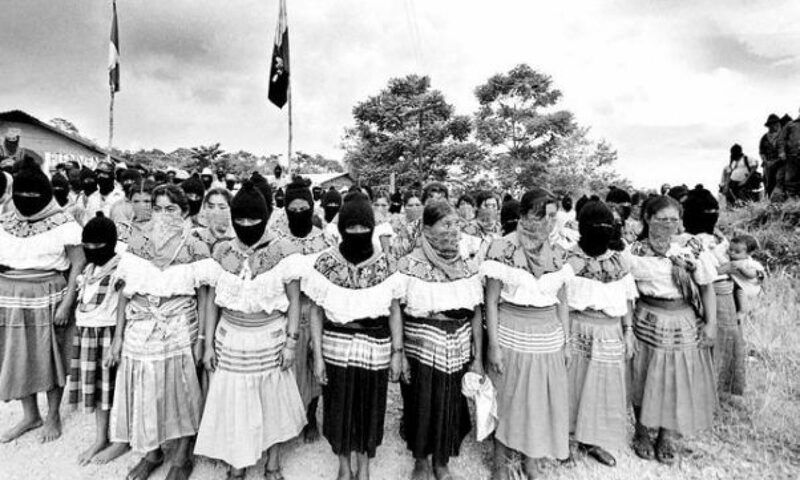 The group was founded by Xela of X, also known as Cihuatl Ce (woman in Nahuatl), in 2010. The cyclists organize events to raise awareness in the community, with specific issues they care to women, including domestic violence, abuse or breast cancer, among others. Every month during full moon Psycos Ovarian women come out with their bikes around the city. Some of the events are exclusive for women cyclists, while others include other groups Angelenos. Unity Ride, for example, was an event that made with Eastside Riders and BKOB groups, to promote unity among Hispanic and African American community. For the upcoming August 24, Psycos Ovarian women have planned the event Clitoral Mass, annual walk, which last year had 300 cyclists. Most cyclists are from East Los Angeles and the main requirement for membership is to be a woman of color. “Some people have told us that we are doing so discrimination, but we do not believe in reverse racism,” said Aguirre. The spokesperson advised that those interested in joining the group, they can begin to participate in the rides and see how they feel. “The bike is only a herramineta. Many of us come from families with problems of abuse or violence and we feel that the group is like a brotherhood, we are much more than friends,” said Aguirre. “Being part of Ovarian Psycos has helped me a lot in my personal life,” he added. Ovarian Psycos Aguirre said was one of the many groups that exist in Boyle Heights and who were an integral part of the community. This Sunday, the group will meet Mexico in the Park, Lincoln Heights with other cycling groups, such as the Eastside Club, and the Coalition of cyclists to participate in CicLAvia Montebello. Next PostNext Ovarian Psycos Present: April Luna Ride – Womyns Self Defense Ride!